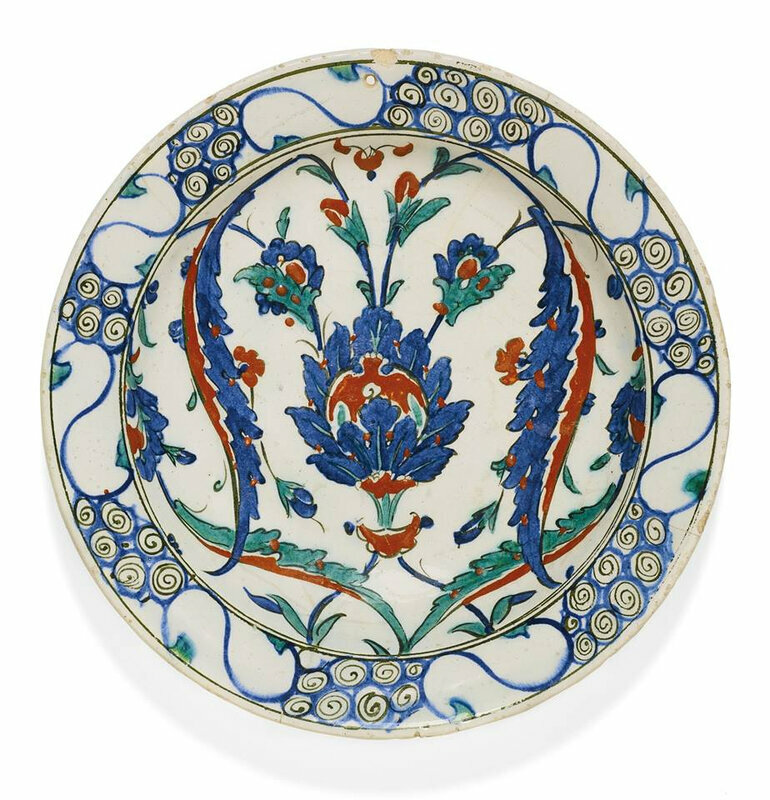 Lot 162. 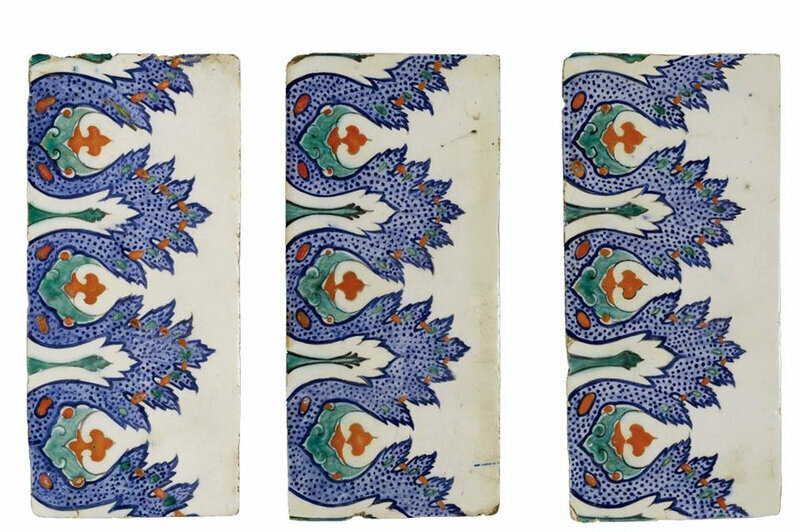 Three Iznik polychrome pottery border tiles, Turkey, 1575-85; each: 11.4 by 25cm. Estimate 3,000 — 5,000 GBP. Lot Sold 6,250 GBP. 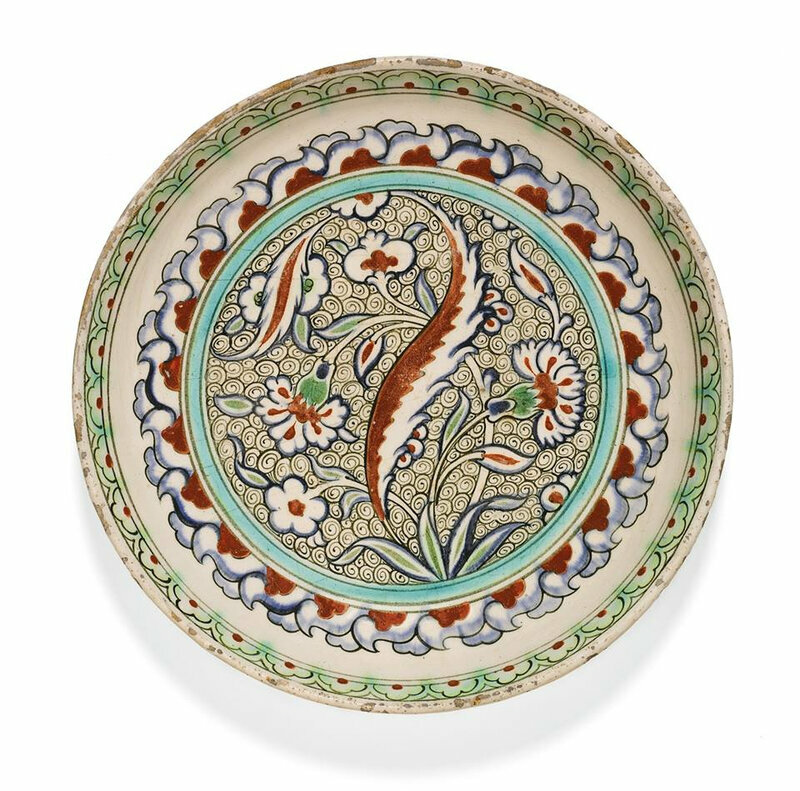 Photo: Sotheby’s 2014.
each from the same frieze, decorated in underglaze cobalt blue, viridian green and relief red with palmette fronds.